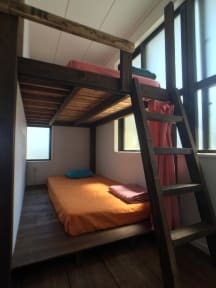 Guesthouse Ayaguya is set in Miyako Island, 12 km from Maehama Beach. This 1-star guest house offers a shared kitchen. Attractions in the area include Irabu Bridge, 5 km away, or Toriike Pond, situated 8 km from the property. 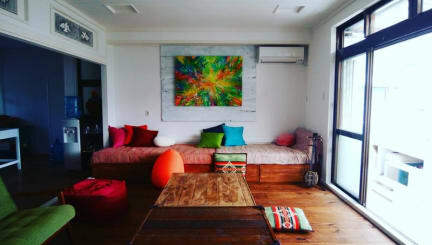 A large daybed in the living room. Take the terrace and the night view of Miyakojima. If you go up to the rooftop, you can see the sunrise in the morning and the starry sky in the evening. Our guesthouse respects the style of each traveler's journey. Every room is fitted with a shared bathroom. The guest house offers a terrace. Ikema Bridge is 10 km from Guesthouse Ayaguya, while Kurima Bridge is 14 km from the property.